Our flagship chèvre. With a creamy texture, grassy, lemony undertones, and a hint of salt, it’ll bring pure cheese bliss to your taste buds and a smile to your face. Love at first bite. Our Tuscan Herb chèvre is so delightfully fresh with the tangy finish. It’s like these ingredients were made for each other. Our Everything Bagel has something for everybody. Salt, garlic and onion, plus caraway, poppy and sesame seeds create the flavors of an everything bagel fresh from the bakery. So good he might end up asking for a baker’s dozen. Get figgy with it. We layer our original creamy chèvre over a bed of locally produced Doves and Figs Falling Leaves jam that’s made with a blend of figs, apples and a touch of cinnamon for a rich and delicious treat. Let this soak in… We hand-ladle our original chèvre into buttons and marinate it in extra virgin olive oil infused with herbs, pepper, sun-dried tomatoes and a touch of lemon peel for a silky, velvety texture. It’s decadent and delicate at the same time. Award winning! Placed 2nd in its category at the National 2017 American Cheese Society competition. Meet Ruth Bader Ginsburg, the Notorious RBG. Enrobed all in black, this delicious ash-rinded aged cheese is classic and creamy, but packs a punch! Made from a blend of cow and goat milk this cheese has a tangy, sharp flavor punctuated with a spicy kick from the whole black peppercorns that stud the paste. Aged 6-8 months. This cheese is an homage de fromage from our head cheesemaker to one of the women who has deeply inspired her. Ruth Bader Ginsburg spent a lifetime flourishing in the face of adversity before being appointed a Supreme Court justice, where she successfully fought against gender discrimination, championed women’s reproductive rights, and stood up for marriage equality. Meet Josephine Baker. This delicious beauty has a sweet and nutty paste, and a slightly dry texture. 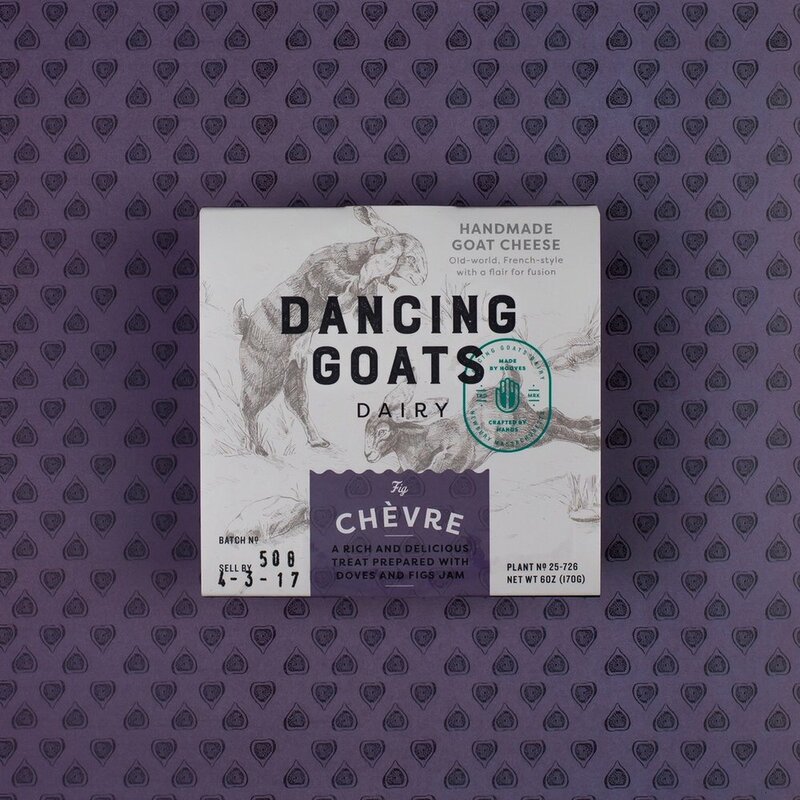 Made with goat milk, with flavors reminiscent of Manchego and Romano, this girl pairs well with fresh fruit, honey, and roasted nuts. Aged 11-13 months. Josephine Baker was a jazz singer, dancer, and actress. Born in the United States, she lated expatriated and became a French citizen. Baker was at the first black woman to get a starring role in a feature film and when dancing and singing, refused to perform for a segregated audience. She is credited as having influenced the Civil Rights Movement. During WWII, she also helped the French Resistance during the Nazi occupation, receiving the "Croix de Guerre", a French military honor, for her services. Meet Jane Goodall. This sharp, delicious darling is made with goat milk and has a tangy and nutty paste, with flavors reminiscent of sharp cheddars and rustic tommes. Her cocoa powder rind adds just a slight note of earthiness. Aged 8-14 months. Jane Goodall is a British ethologist and animal rights advocate, known for her exceptionally detailed and long-term research on the chimpanzees of Gombe Stream National Park in Tanzania. A highly respected member of the world scientific community, she advocates for ecological preservation through the Jane Goodall Institute. Meet Marie Curie. This cow milk hard cheese is both wonderfully sharp and spicy, with flavor notes reminiscent of sharp Cheddar or Havarti. Packed with garlic and dill and covered with a dill weed rind, this cheese is a wonderful addition to any cheese board looking to add some pep to its step. Aged 6-8 months. Marie Curie was a Polish and naturalized-French physicist and chemist who conducted pioneering research on radioactivity. She was the first woman to win a Nobel Prize, the first person and only woman to win twice, and the only person to win a Nobel Prize in two different sciences. Her achievements included the development of the theory of radioactivity (a term that she coined), techniques for isolating radioactive isotopes, and the discovery of two elements, polonium and radium. She founded the Curie Institutes in Paris and in Warsaw, which remain major centers of medical research today. Meet Misty Copeland. This cow milk hard cheese packs a deliciously tangy punch with every bite, with flavor notes reminiscent of mild Cheddar or Havarti. Filled with sundried tomatoes and Italian herbs she also has a smoked paprika rind which adds a delicious depth. Aged 6-8 months. Misty Copeland is an acclaimed ballerina and the first African-American performer to be appointed as a principal dancer for the American Ballet Theatre. Copeland was considered a prodigy who rose to stardom despite not starting ballet until the age of 13. In addition to her dance career, Copeland has become a public speaker and activist. She is adamant that a large part of her purpose as a public figure is to make sure up-and-coming black and brown dancers know they belong in the world of classical ballet -- and feel welcome there.